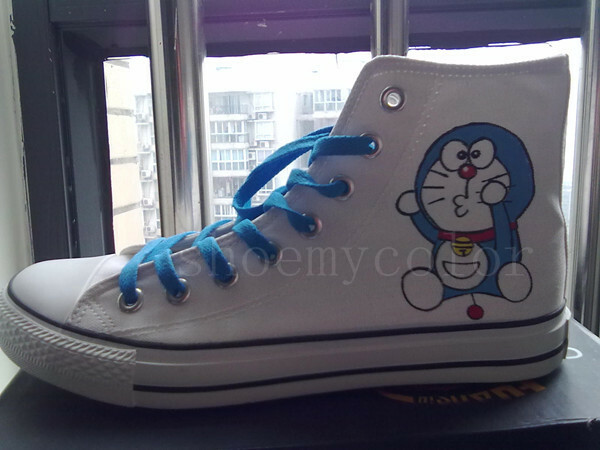 custom Doraemon Converse. Doraemon hand oainted on Converse shoes customizable on www.shoemycolor.com. Wallpaper and background images in the Doraemon club tagged: doraemon customize comverse hand painted shoes canvas shoes cartoon shoes fashion shoes.